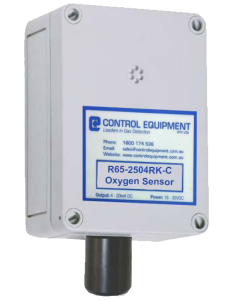 Ideally suited for laboratory environments, the oxygen sensor has been designed to be used in conjunction with a beacon controller. Matched with a siren and strobe the O2 system can be used as a stand alone system or BMS System. 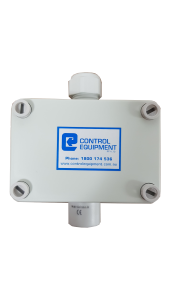 Control Equipment now offers a very cost effective solution for carbon monoxide exhaust emission monitoring and exhaust fan control for enclosed carparks and similar applications. 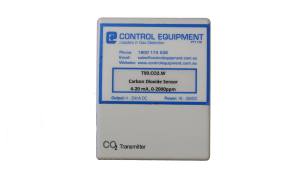 This carbon monoxide transmitter is designed purely for the car park market and as such is a highly reliable and very cost effective 4-20 mA transmitter for the detection of carbon monoxide gases. The large electrochemical cell are designed for long life and typically last 3 – 5 years. Ventilation control by CO2 is a viable and energy efficient way of controlling ventilation to target cfm / person levels based on actual occupancy. The measurable rather than traditional approach of providing fixed ventilation is based on maximum occupancy. 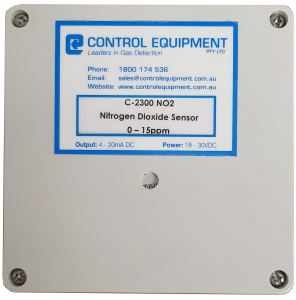 The DUCT Mounted carbon dioxide sensor is designed to be installed in HVAC applications, where the CO2 sensing element uses non-dispersive infrared technology (NDIR) with up to 15 years lifetime. 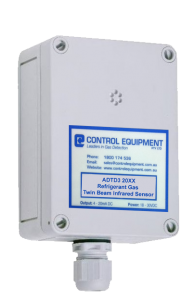 Refrigerant gas transmitter with two-beam infrared sensor for the continuous monitoring of the ambient air to detect hydrochlorofluorocarbon (HCFC) and hydrofluorocarbon (HFC) refrigerants. The infrared measuring method with integrated temperature and drift compensation stands for highest accuracy, selectivity and reliability despite of the calibration interval of 3 years. The ADT-D3 possesses a standard analog output (0) 4- 20 mA or (0) 2– 10 V DC, and an RS-485 interface. 2 relays with adjustable switching thresholds as well as an integrated display are available as options. Refrigerant gas transmitter with semi-conductor sensor for monitoring leakages of cooling agents like HFC (hydrofluorocarbon) or HCFC (hydrochlorofluorocarbon). The semi-conductor typical, non-linear signal is translated into a linear, temperature-compensated output signal. A comfortable calibration routine with selective access release is integrated in the transmitter. The ADT-43 possesses a standard analogue output (0) 4- 20 mA or (0) 2– 10 V DC, and an RS-485 interface. 2 relays with adjustable switching thresholds are available as an option. 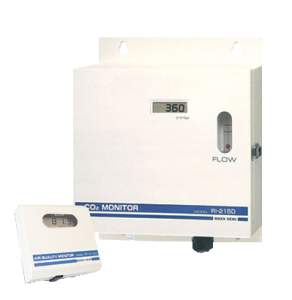 CH2O transmitter including digital measurement value processing and temperature compensation for the continuous monitoring of the ambient air to detect formaldehyde concentrations. Integrated in the transmitter there is a comfortable calibration routine with selective access release. The ADT-53 possesses a standard analog output (0) 4- 20 mA or (0) 2– 10 V DC, and an RS-485 interface. 2 relays with adjustable switching thresholds are available as an option. The RI-215 series of infrared CO2 gas monitors are widely used in the measurement and control of CO2 levels in a variety of applications where CO2 monitoring or detection is required. A highly accurate, non-dispersive infrared absorption sensor is used to provide direct measurements through diffusion or sample draw monitors, and activate alarms or control ventilation systems based on preset CO2 levels. 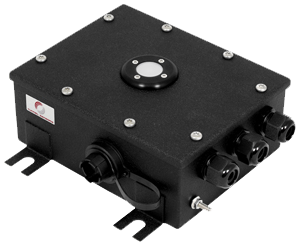 The KR61-0203-02RKTR Sensor configuration consist of a 3-wire sensor, amplifier and enclosure with terminal strips. 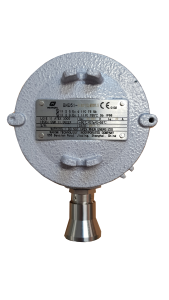 The combustible gas sensor type KR61-0203-02RKTR, for diffusion sensing, is highly reliable and designed to give extended service. This highly reliable, cost effective hydrogen sulphide sensor, amplifier and enclosure is designed to fit into any current controller or BMS system. 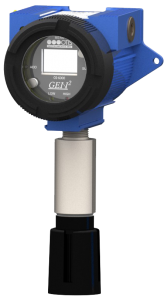 Used mainly in the sewerage treatment industry the H2S sensor has proven itself as a robust unit. Designed specifically for the tunnel environment, the ILLIOS measures the level of illuminance within the tunnel bore to ensure interior illumination levels are being continuously maintained in order to ensure safe lighting conditions for drivers. 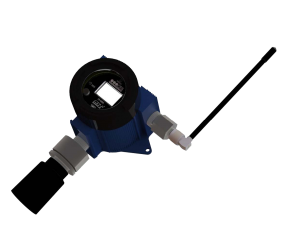 The OI-6000 sensor assembly is a versatile assembly that uses an electrochemical, infrared, catalytic bead, or PID sensor element to detect a variety of gases. 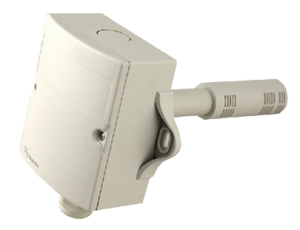 The gen II wire free OI-6900 ambient air gas sensor assembly is a wireless gas sensor assembly that uses an electrochemical sensor element to detect a variety of gases.